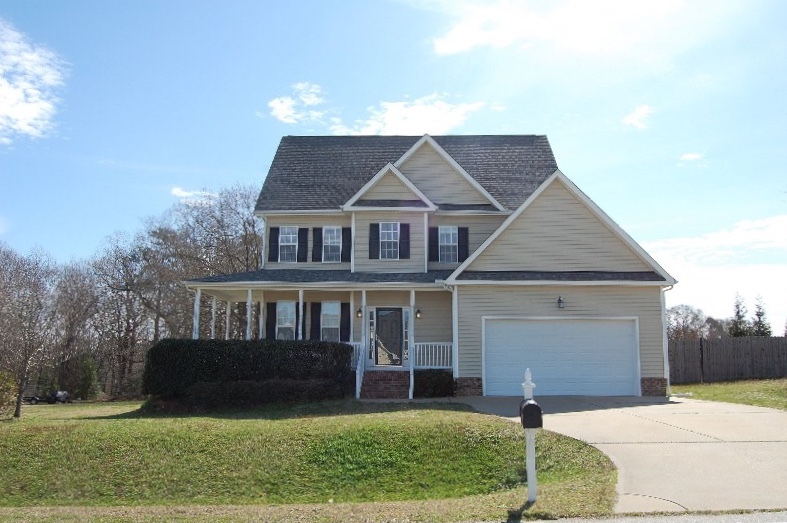 2 Story w/yellow vinyl siding, black shutters & white trim, 2 car concrete drive w/2 car garage, covered & columned front porch & side porch, double gate on right hand side to privacy fence that runs down the right side of the property! 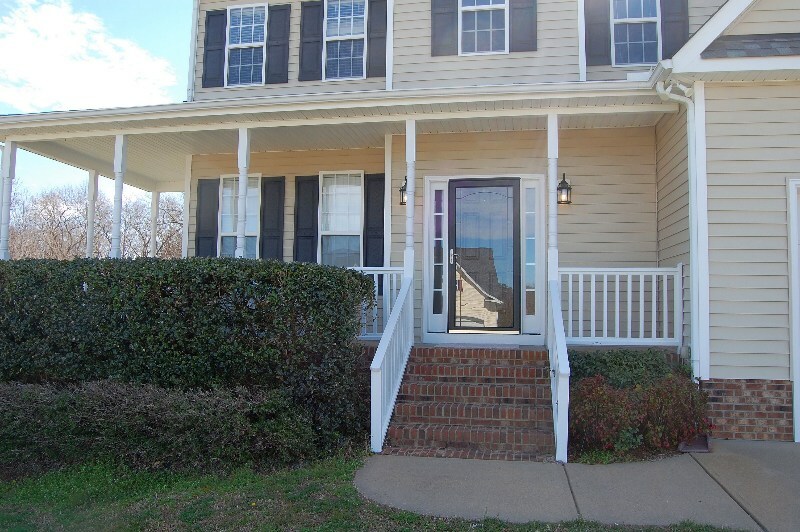 Side of home w/concrete walkway to front porch w/masonry steps, storm door and black front door w/9 foot ceilings on the first floor! 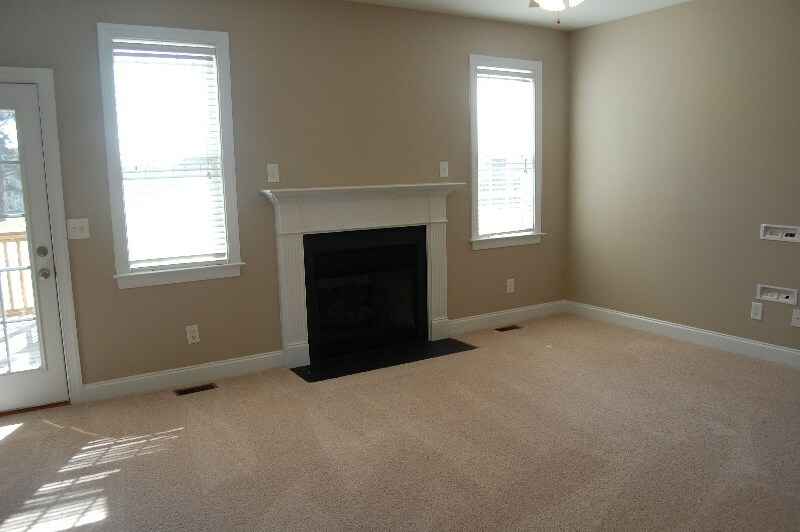 ***No City Taxes***New Carpet & Paint! 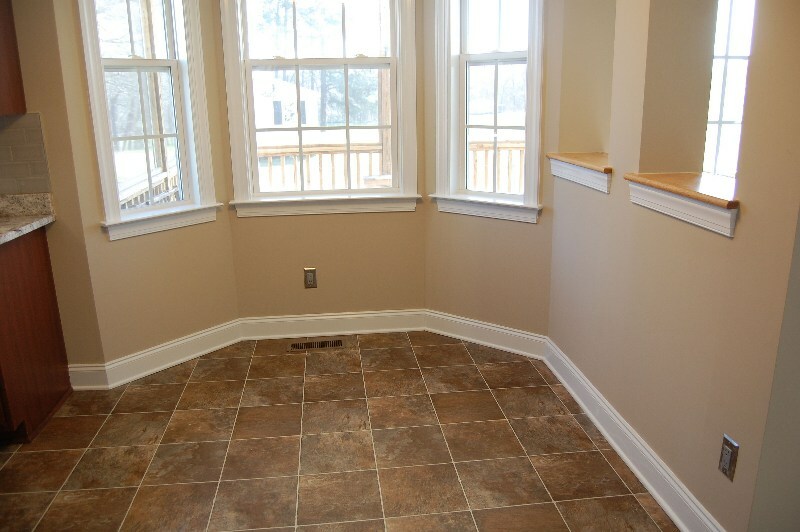 Front porch: (12x4) (12x6) and side porch (6x6.6)! 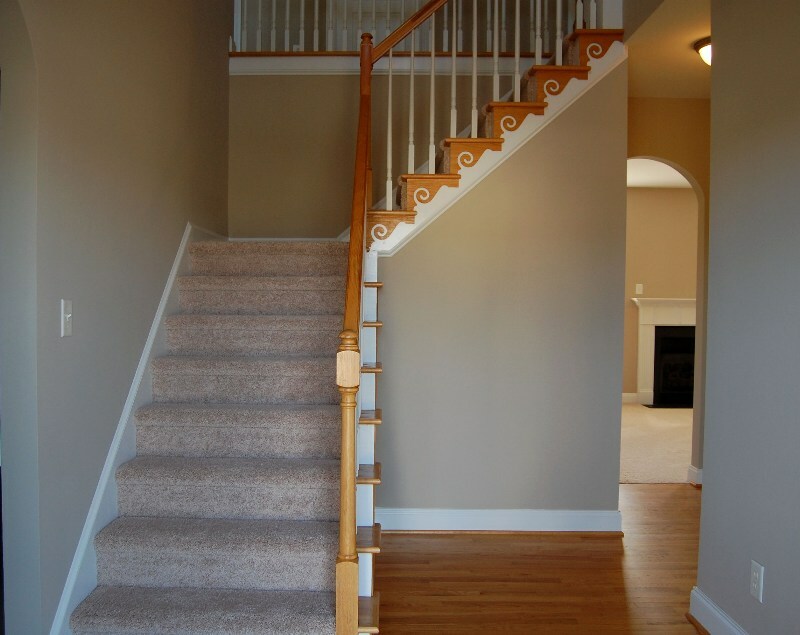 Entry Foyer: (11.8x7.0) w/hardwoods, neutral paint, hardwoods run to LR and around other side to kitchen & large coat closet w/hardwoods & main water shut off! 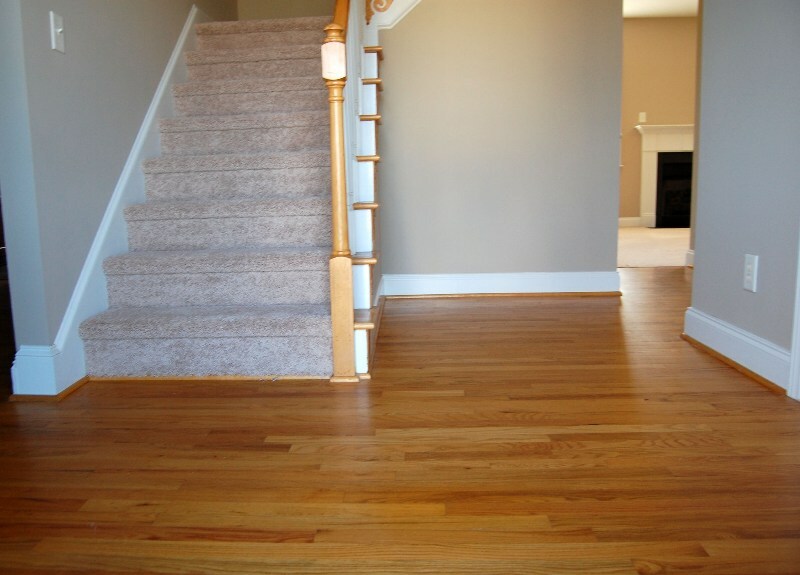 landing: showing rail base custom wood trim to top and those gleaming hardwoods below! 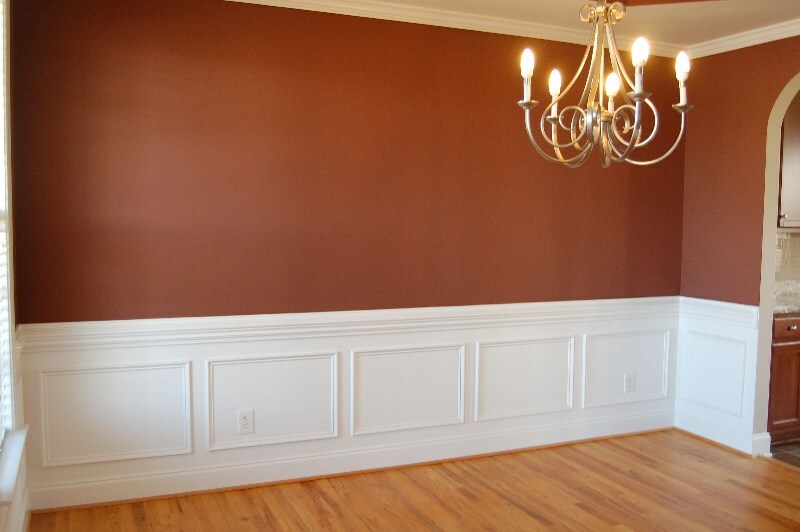 Formal Dining Room: w/hardwoods, baseboards, wainscoting, chair rail, crown molding, trey ceiling w/medallion, chandelier & 2 windows w/2” wood Plantation shutters! 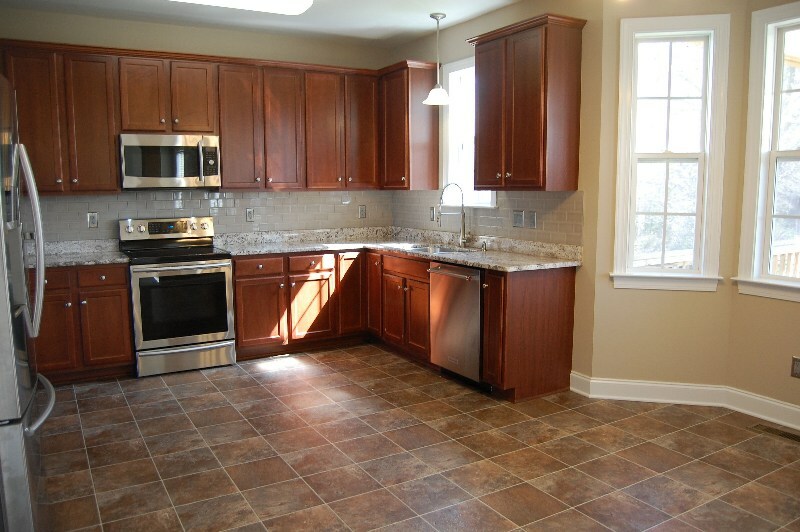 Kitchen & Eat-in-Kitchen: w/vinyl floor covering, knotty pine wall from LR through Kitchen, back door access to carport, Kenmore Washer, & real wood cabinetry! 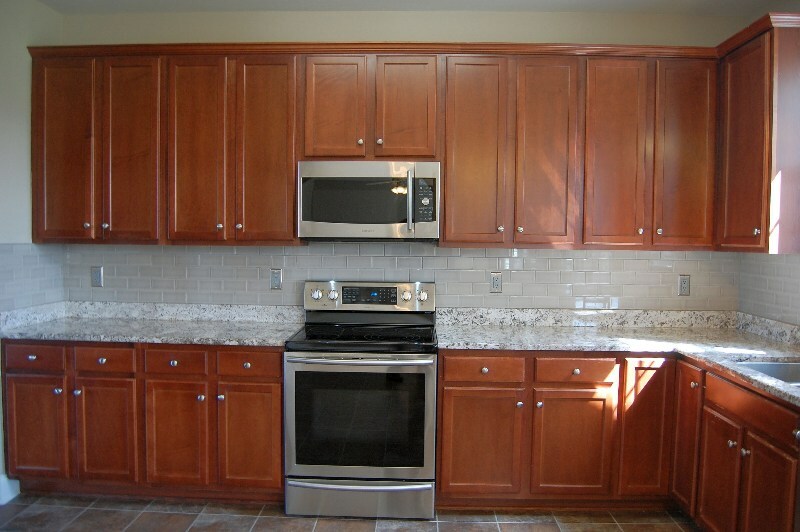 Kitchen: Eat-in-kitchen at Bay Window view w/Kitchen Aid Energy Star SS dishwasher, dual sided sink w/upgraded sprayer handle, soap dispenser, corner trundle cabinet, grey subway tile back splash & 6 electrical outlets along counter top! 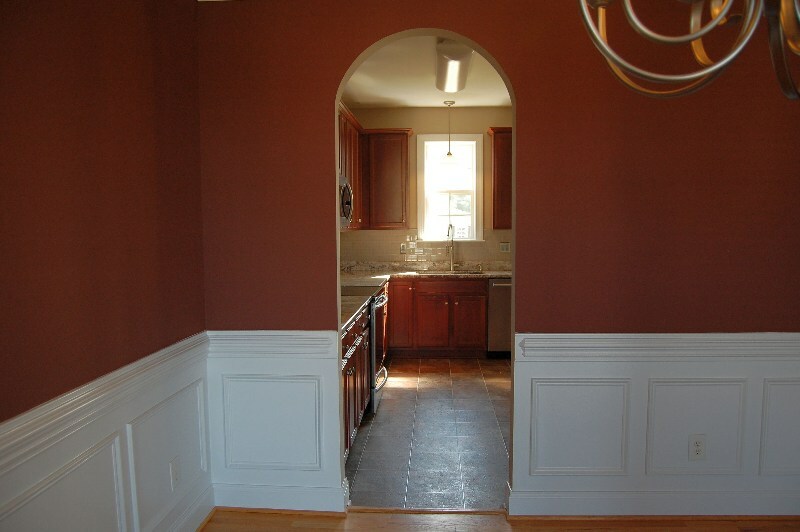 Eat-in-Kitchen: w/Bay window overlooks back yard!
. 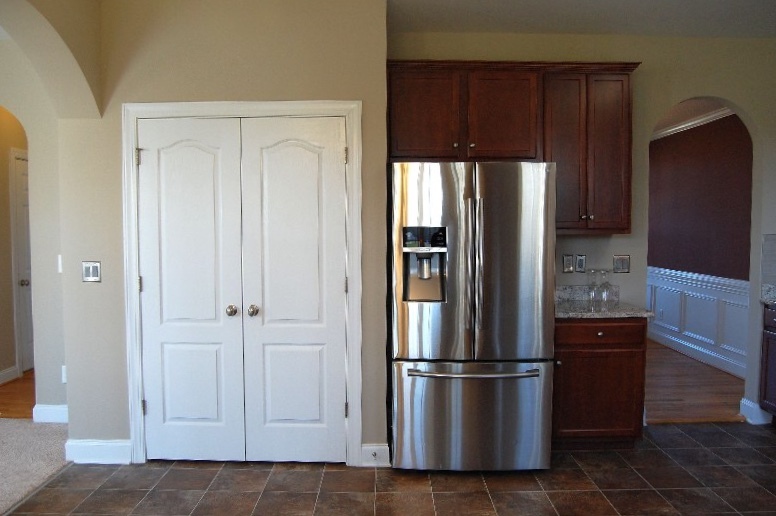 Beautiful archway openings throughout first floor, double door walk-in-pantry & 3 door refrigerator! 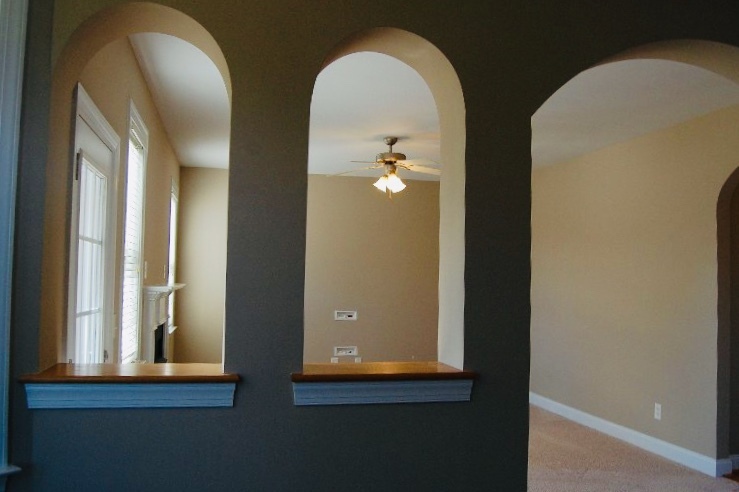 Living Room: w/new carpet, arch entry to Kitchen, built-ins & 2 more smaller arched openings!
. 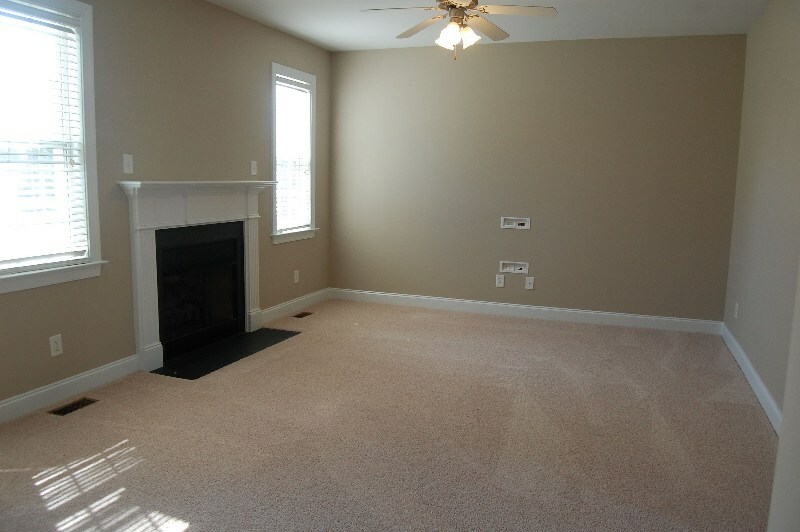 Living Room w/5 blade ceiling fan w/3 lights, FP w/slate hearth, gas logs, custom white mantle w/columned surround, 2 windows w/2” Plantation wood blinds & door to screened porch! 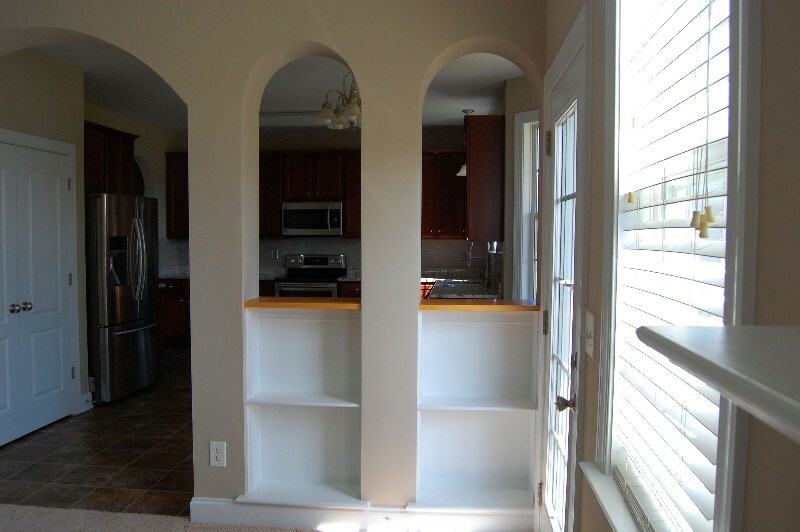 Kitchen through to living room w/kitchen cut outs w/archways that match the rest of the home! 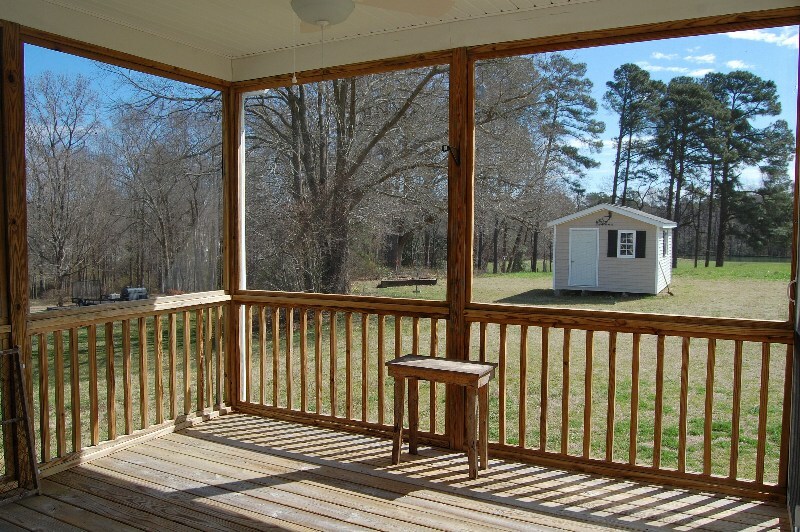 Screened Porch: w/5 blade ceiling fan w/lights & new door to patio! 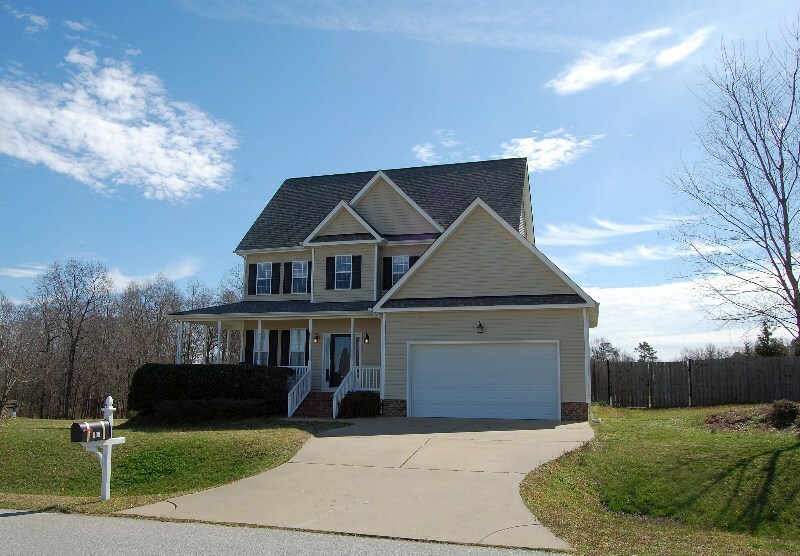 Owner submitted photo to show fence side of yard to show where trees, bushes & plants are located there! 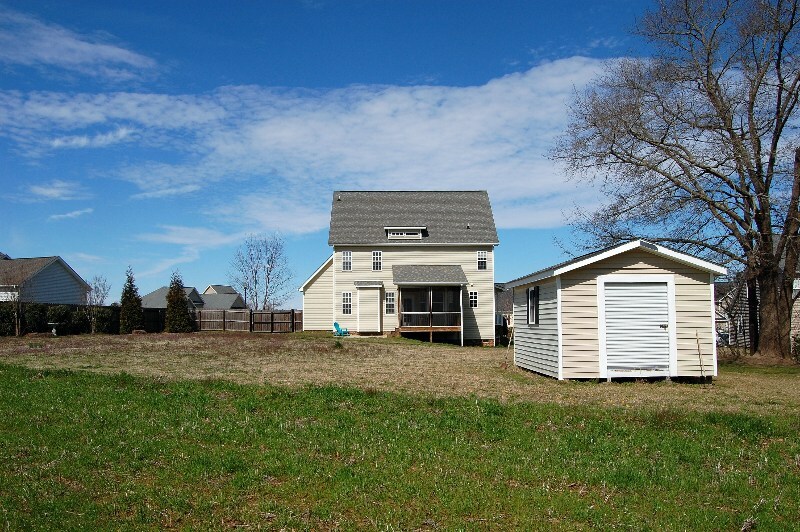 Owner submitted photo of view from back patio so you can see grass & shed that matches the house, shutters & all! 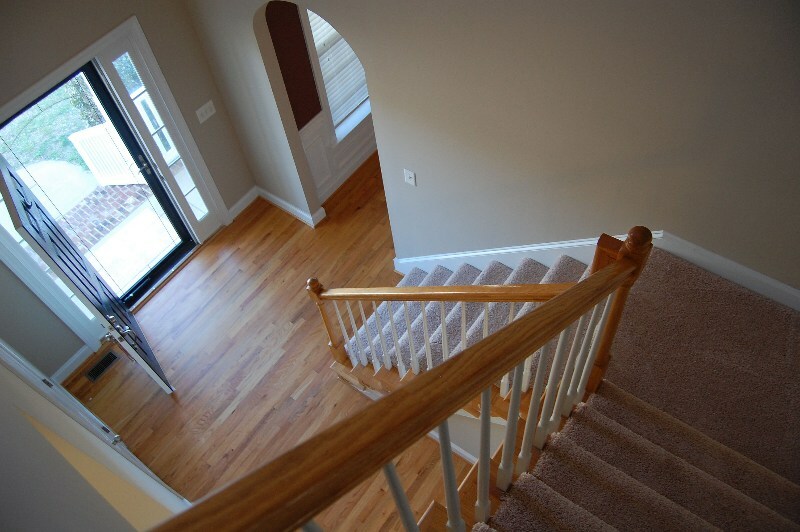 From atop the 2 story foyer you can see the arched entry into the dining room & guest bath is to the right w/dark cabinetry, cultured marble vanity, 2 light fixtures w/3 lights, vinyl floor covering that looks like tile & 1 piece shower/tub surround! 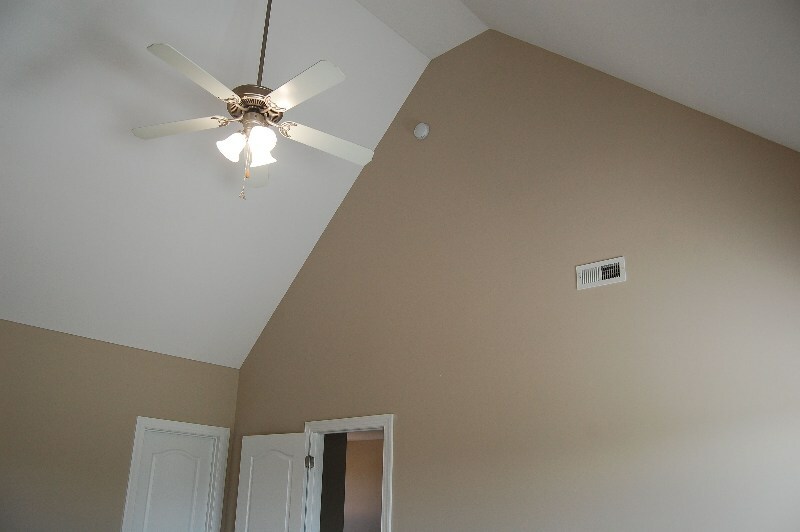 Master Bedroom: w/new carpet, Cathedral ceiling, carpet, 5 blade ceiling fan w/3 lights, 2 windows & w/2” wood Plantation blinds! 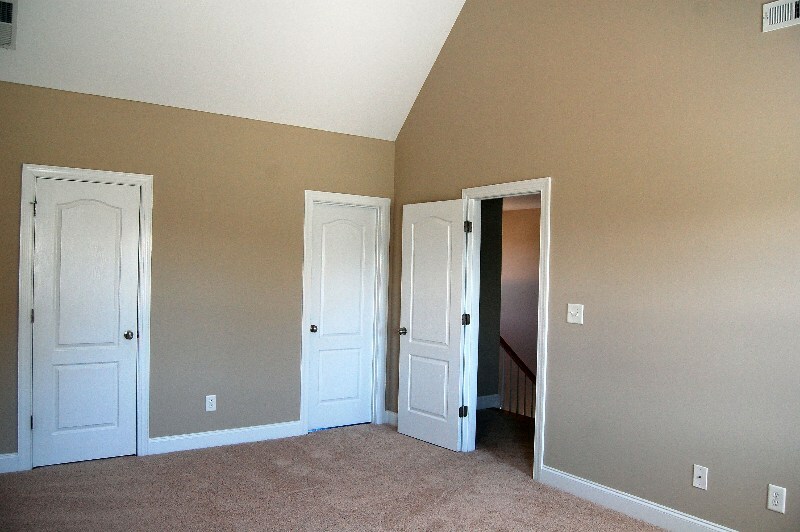 Showing room height & ceiling fan, huge (9.7x6.5) WIC (walk-in-closet) w/door to ample eave storage area! 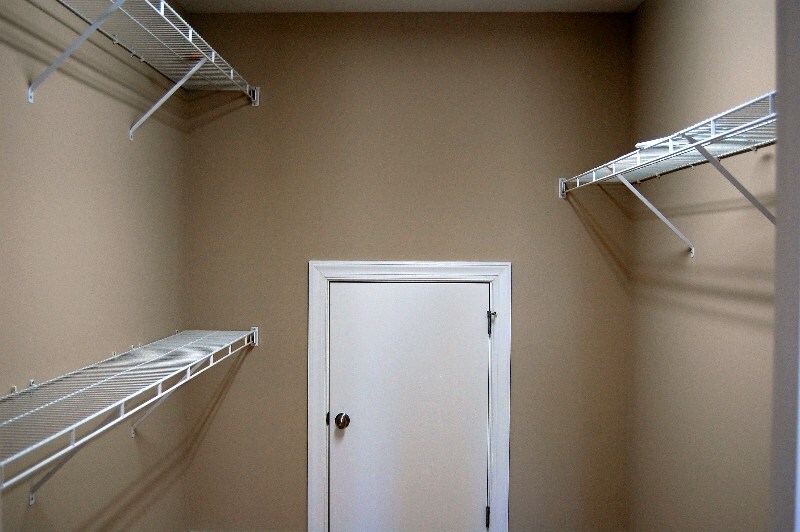 Walk-in-closet showing attic eave storage access! 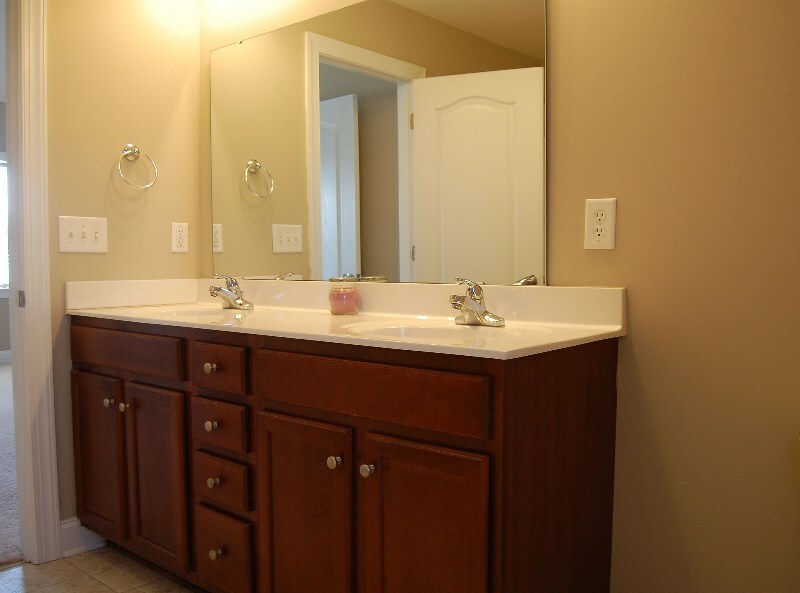 Master Bath: w/door, cabinetry is dark wood & vanity is raised height w/cultured marble, dual sinks, vinyl floor covering that looks like tile, Garden tub, window w/2” wood Plantation blinds, 1 piece surround walk-in-shower w/bench & extended size curtain bar! 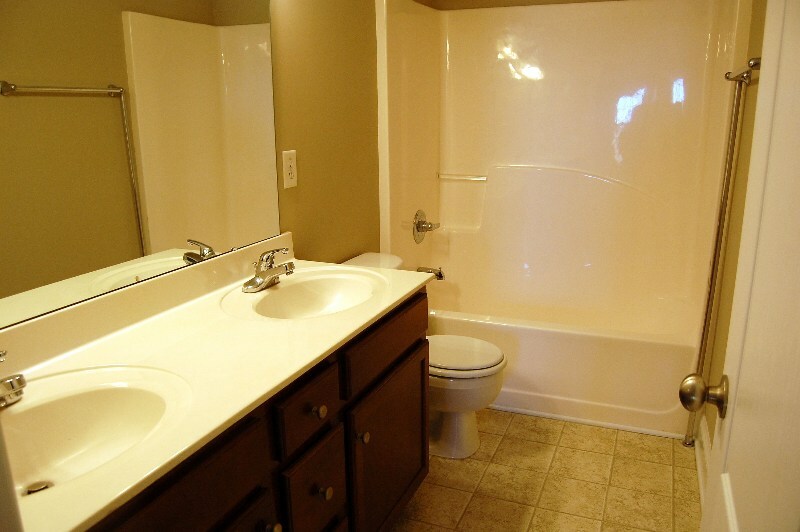 Guest Full Bath: w/dark cabinetry, cultured marble vanity, 2 light fixtures with 3 lights, vinyl floor covering that looks like tile & 1 piece shower/tub surround!
. 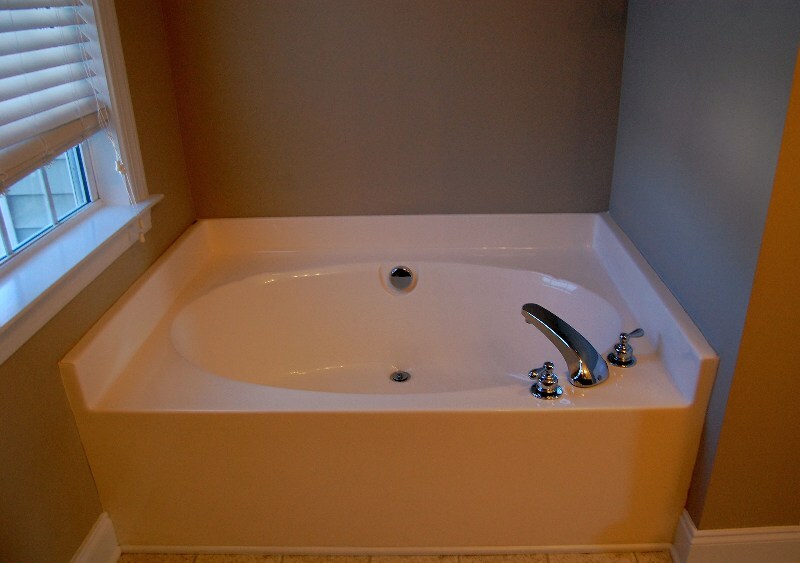 Guest Full Bath: w/dark cabinetry, cultured marble vanity, 2 light fixtures with 3 lights, vinyl floor covering that looks like tile & 1 piece shower/tub surround! 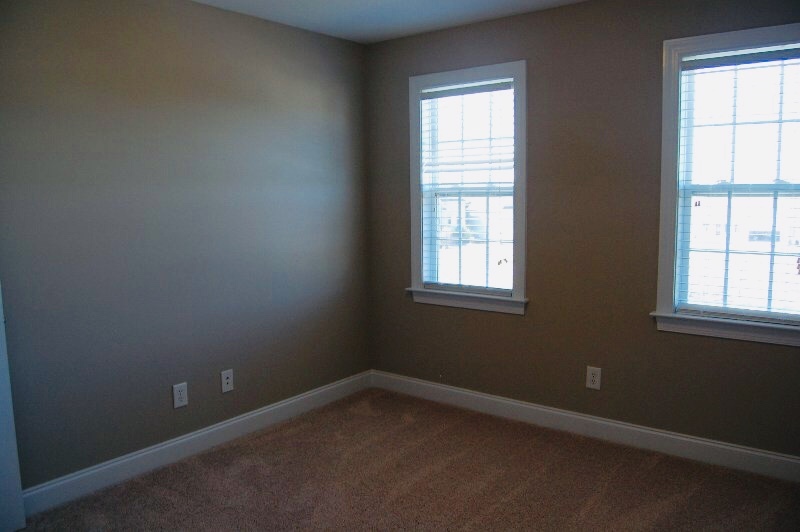 Bedroom 2: w/new carpet, neutral color fresh paint, big closet & overhead light! 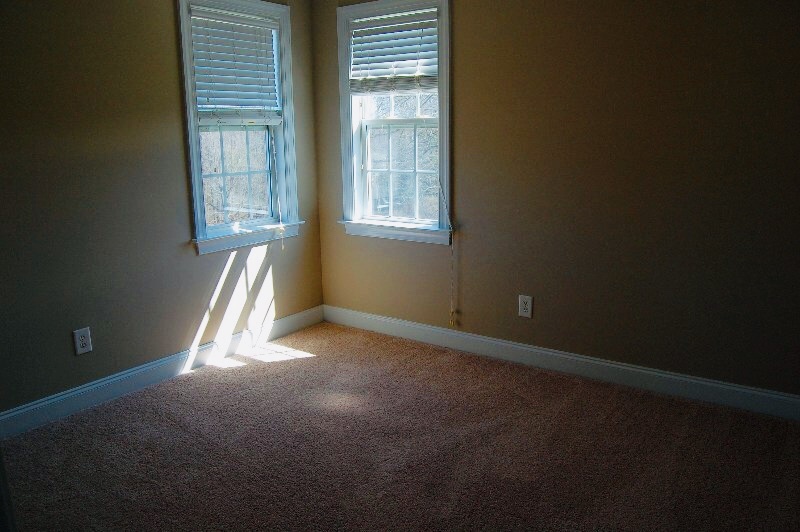 Bedroom 3: w/new carpet, fresh neutral paint, 2 windows w/2” wood Plantation blinds & walk-in-closet! 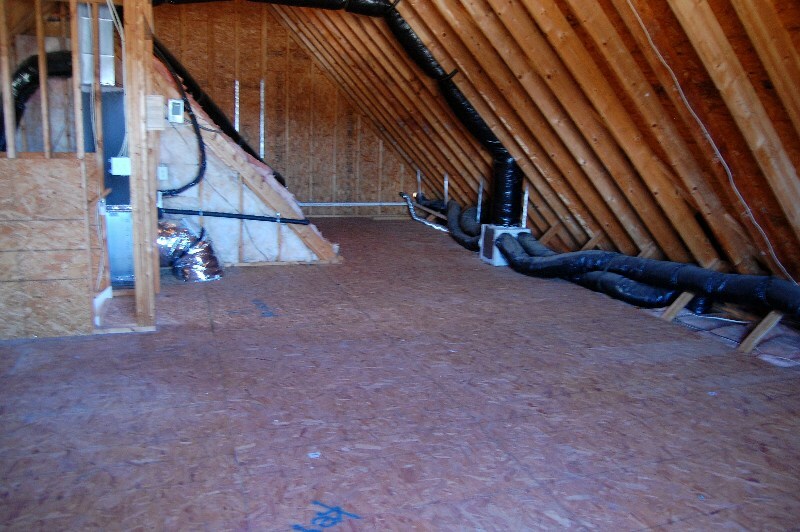 Walk-Up-Attic: fully floored w/new Rheem furnace/HVAC in 2017! View from the back of the lot! 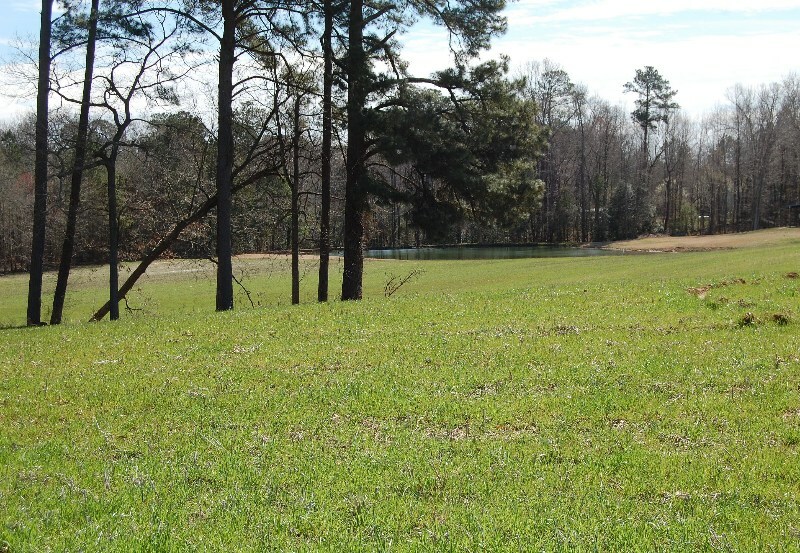 Pond behind lot when there's water in it!